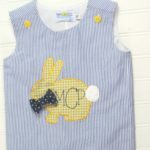 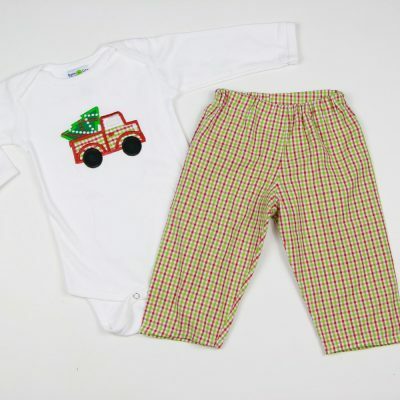 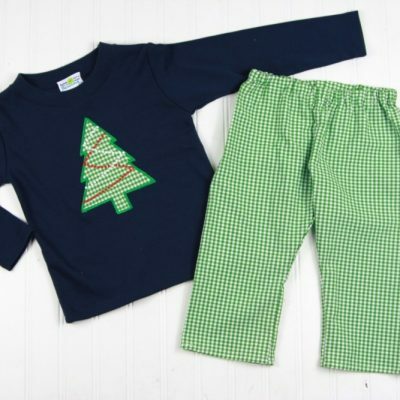 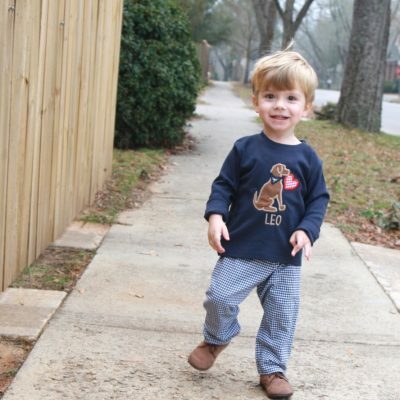 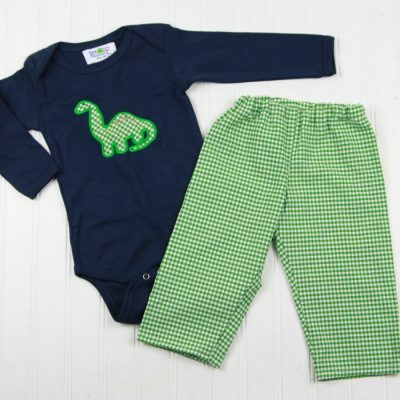 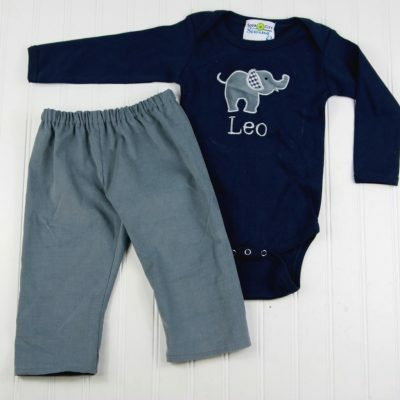 Appliqued outfits for baby and toddler boys. 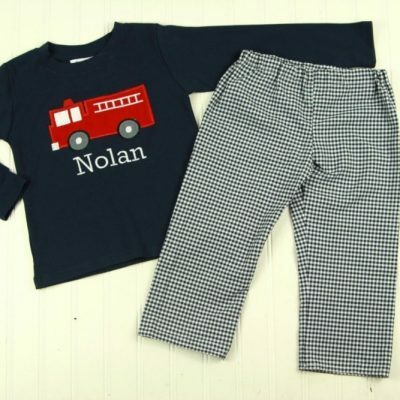 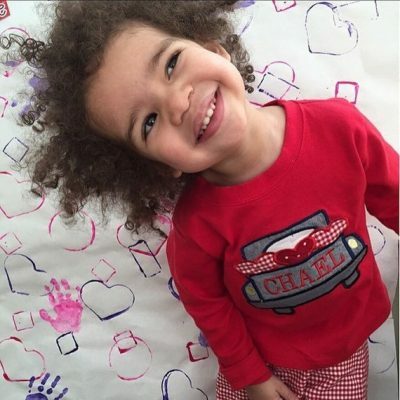 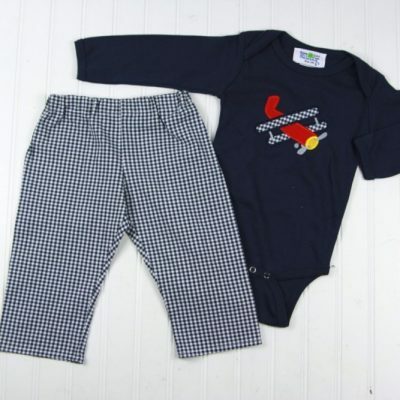 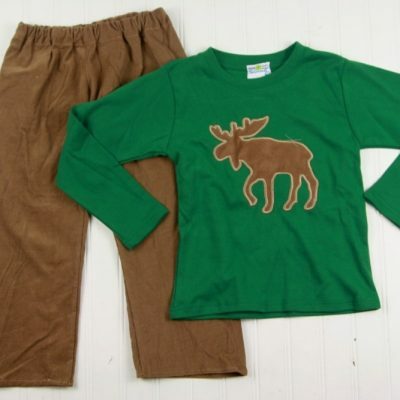 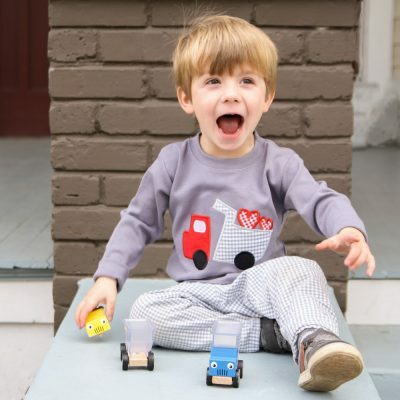 Choose from dozens of shirts and onesies and matching pants. 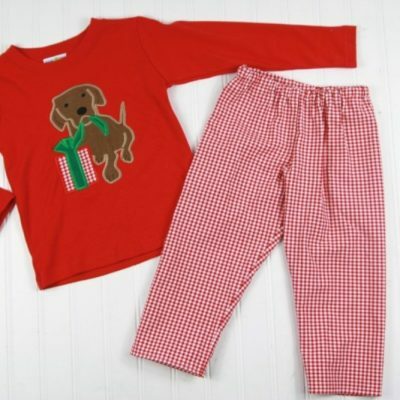 Choose the tops, pants, or both for a complete outfit.